Where does the time go?? It seems like just yesterday that I arrived on base, yet, three days have passed and I have been so busy. These past days have been spent learning new skills, which will help the team here on Port Lockroy, and keep me out of trouble while I am here. I have even had to learn to cook for myself and the other six people while I am here - so far it hasn't been that hard as Henrik, the Hotel Manager on board “National Geographic Explorer” supplied us with A LOT of fresh food, so I was able to cook fresh scallops for brunch one day. 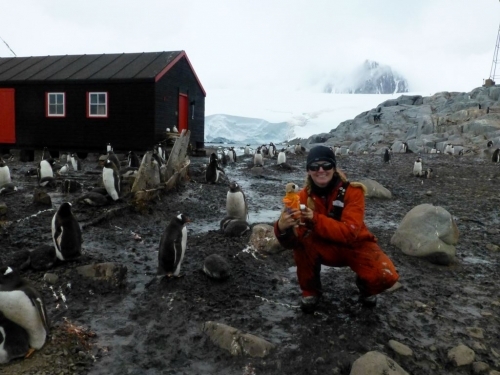 The team at Port Lockroy has been so nice and welcoming, just like my NGEX family. The days are long - up at 0600 to bed at 2200, with something to do all the time, even when a ship isn't here: painting, cleaning, and stamping postcards take up a lot of time. After a full day of painting Bransfield House in protective paint, I was ready for a shower. 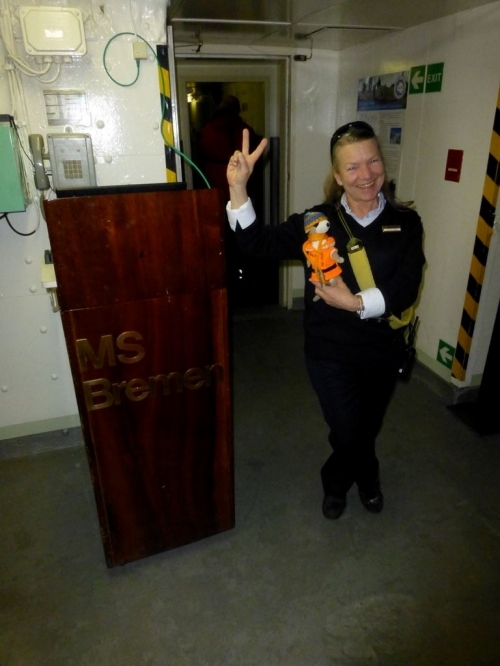 Thankfully Esther's old ship, the Bremen, invited me on for a shower. 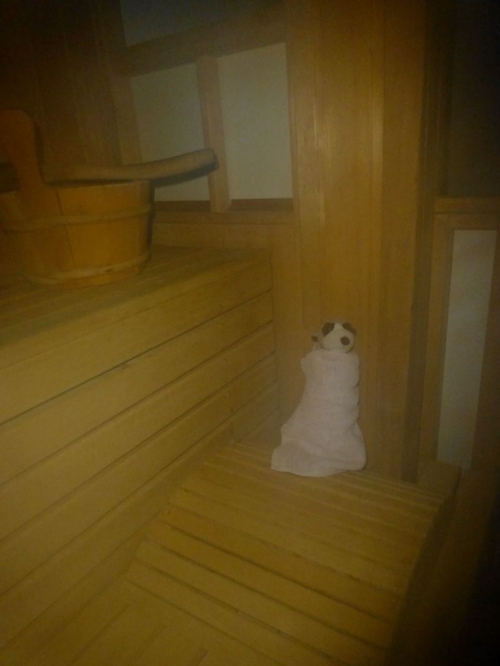 After finally figuring out how to operate the many shower heads in the sauna area, I was able to scrub clean and even have a sauna afterwards. I was also able to have a chat with Esther and Captain Oliver's old friend, Gabi. She has a lot of stories about Esther and Captain, but I promised I wouldn't tell anyone. 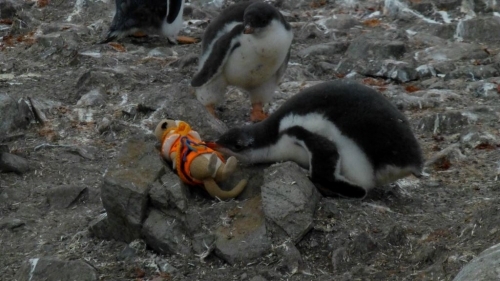 After Bremen left, we did the final official penguin chick count. It was a bit smelly and quite difficult to count the chicks when they are running around after their parents everywhere, but in the end we counted 689 chicks! They are so fluffy! This is one of the best experiences I have had in Antarctica. I can't wait to tell you more about it.